Seriously. This is the best apple pie in the world. It’s so good, that all my pictures are of a half eaten pie. That’s how good it is. This is the apple pie my Mum bakes. My Dad taught me how to cook, my Mum taught me how to bake. I was an allergy kid, I couldn’t eat delicious desserts when we went out to eat, or at other kid’s houses. So my Mum always baked delicious desserts for me. Whenever I went to other kid’s birthday parties my Mum would send me with my own cupcake, so that I would have something to eat when everybody else had birthday cake. Quite honestly? My homemade chocolate cupcakes usually looked a whole lot better than the store bought cake everybody else was eating. It is from her that I inherited the banking love and talent. 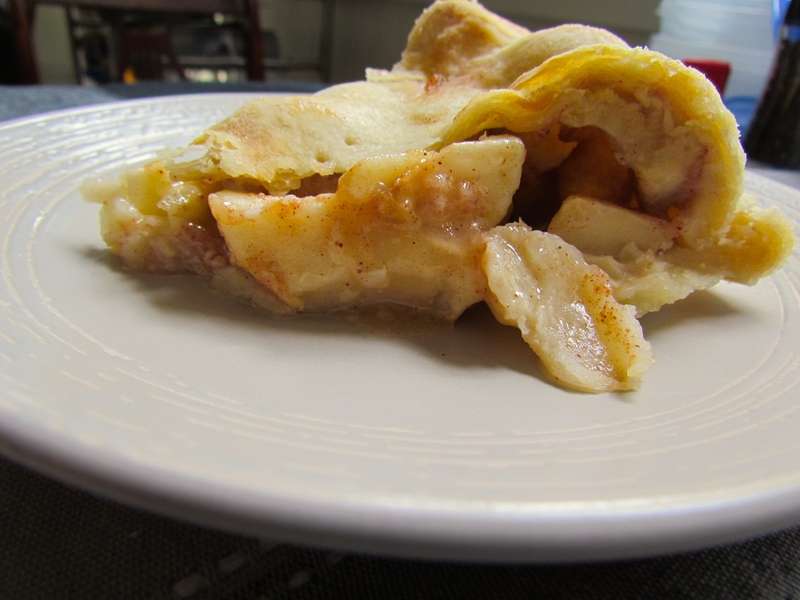 Apple pie is the ultimate comfort food to me, it makes your whole house smell amazing, it feels healthier than cake . . . I’m not alone in this am I? The belief that pie must be healthier than cake because it has fruit in it? 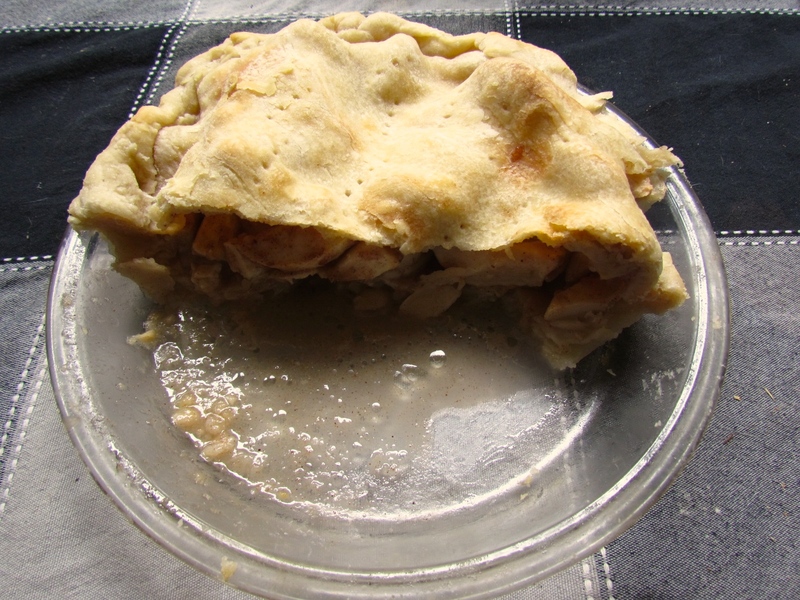 This apple pie tastes like home, like fall, eating it is like wearing a warm cozy sweater. I’m super into comfort this week. I’ve had a cold for the past two weeks that I just couldn’t shake. I was exhausted all the time, completely drained of energy, I was taking hour long naps just to make it through the day. I’m finally feeling back to my old self, but when your immune system is down that badly, it’s usually best to take stock of yourself. Entertain the idea that maybe, just maybe, you are burning yourself out a little bit, and take care of yourself. So that’s what I did. 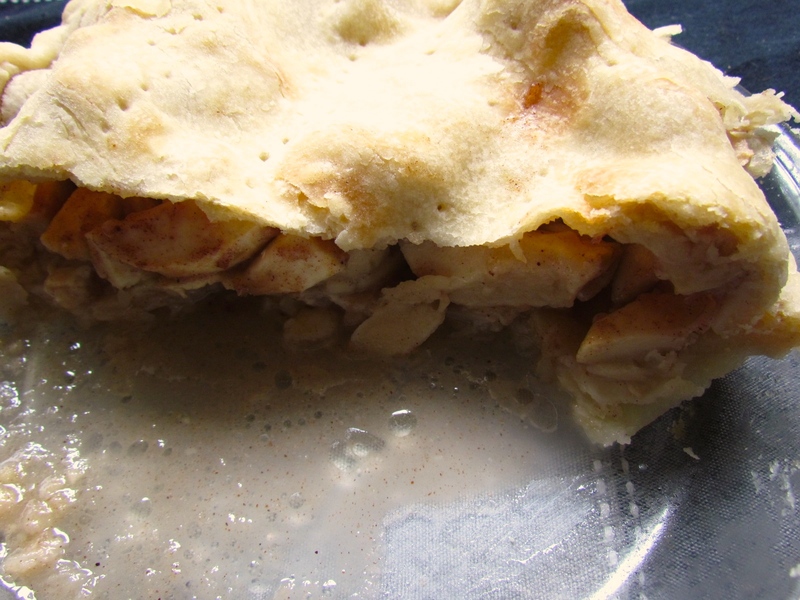 I baked myself an apple pie, I have started to re-read all the Harry Potter books . . . every few years or so I find myself drawn back into the books, reliving it all over again at the different stages in my life. I’ve been listening to the podcast gilmore guys non stop. Also super comforting. These guys are hysterically funny, I caught up on the podcast over the summer and now I’m forced to wait for two new episodes each week. It does make Mondays more fun, knowing I have another episode to listen to. The fall seems to be rushing past and sometimes you need to take some time out for yourself and find some comfort. So, pie. Sweet delicious pie with a flaky crust. The kind of pie that dreams are made of. It’s all the usual pie like suspects, apples that you’ve peeled and sliced, sugar, cinnamon, nutmeg and flour. A flaky pie crust. 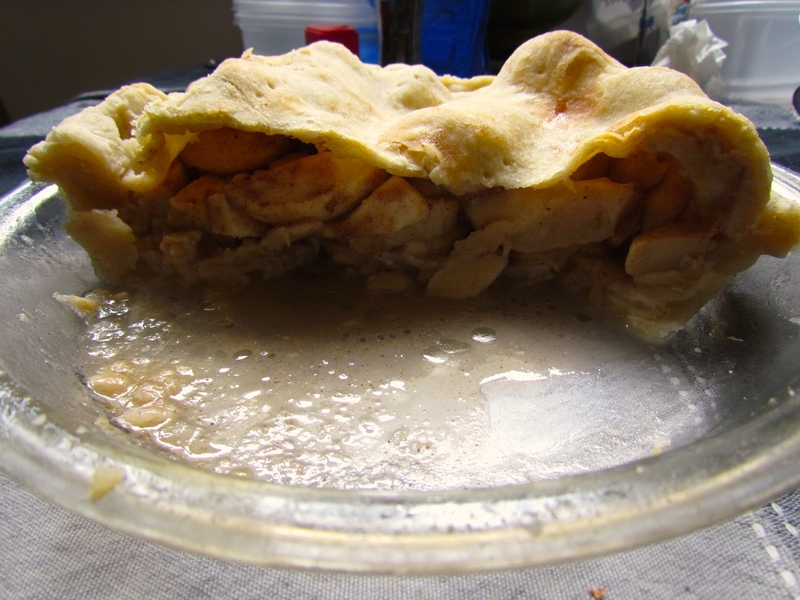 As with a peach pie, the most time consuming part of the pie making process is peeling the fruit. Peeling apples is a whole lot easier and less messy than peeling peaches however. You throw all your filling ingredients together in a bowl and make your pie crust. I like to do the filling first so that it can sit and the juices can start to flow. I didn’t use my mother’s pie crust recipe this time, I was out of shortening you see. But I wasn’t about to let that stop me from making crust. So I will include the pie crust recipe I used. Not quite as flaky and light, but a little bit quicker to make and it definitely works in a pinch! What else works in a pinch? 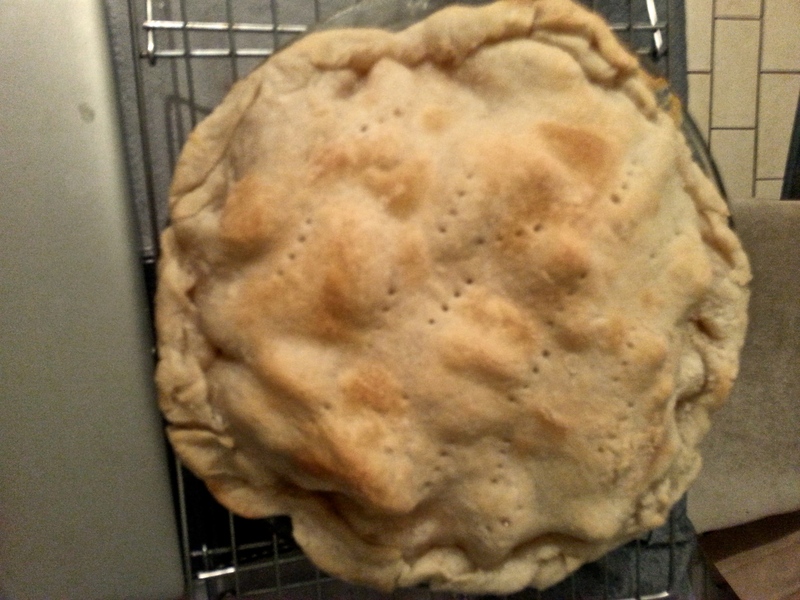 Taking a quick snap of the finished pie with your cell phone in your badly lit kitchen at night. Not a great picture but it does somewhat show the golden crust off. The pie did not manage to make it through the night intact. What pie does? It’s almost November, time to get out the Halloween costumes and the carve up the pumpkins! And eat apple pie. Which honestly is better than any store bought candy! Peel and slice all your apples and put into a bowl. Add the sugar, flour, nutmeg, cinnamon and salt. Mix to coat the apples. Sift together the flour and salt, in a separate bowl combine the oil and water. Pour the wet ingredients into a valley in the dry ingredients. Mix with a fork until combined. Split the dough in half and on a heavily floured surface roll one half large enough to fill the pie plate. Letting dough overhang the edges place on top of the pie plate and press down so it fills the whole plate. Pour the filling into the pie crust. Add the two tbl or margarine on top of the filling. Roll the second half of the dough out and place on top, pinching the edges together to create your crust. Using a fork poke holes in the top crust. Bake for 30 min with tin foil covering the edges of the pie. Bake for an additional 10min with the tin foil removed.